This photograph was taken at sunset on a winter's evening. 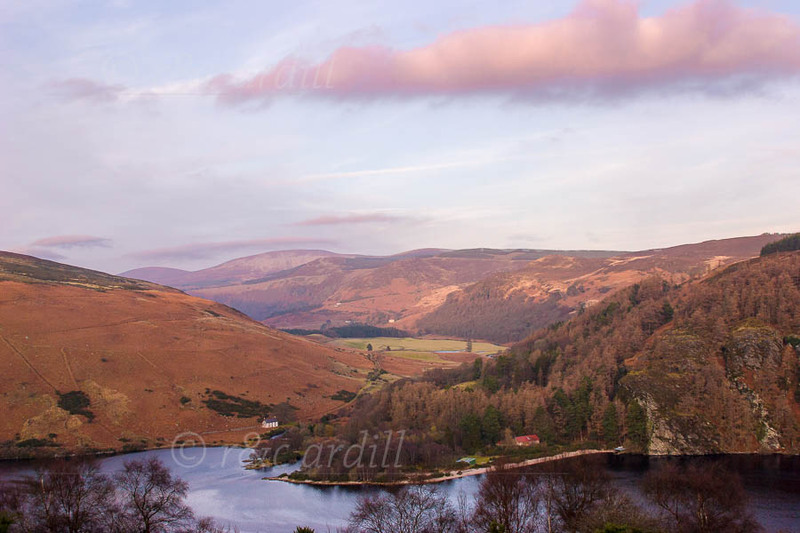 The valley leads to Lough Tay along a beautiful walk by the Cloghge river. The peak in the distance is Djouce.